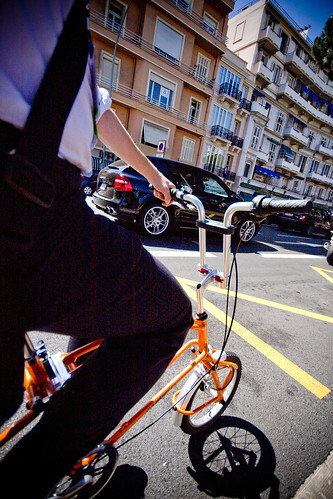 Bigfish in MONACO, originally uploaded by Bigfish Folding Bike. This is in Monaco and i'm in the process of being faster than a bmw gas-guzzler. Through the busy streets, Bigfish has also been proven to be faster than 3 ferraris, 2 porsches and a lambourghini.